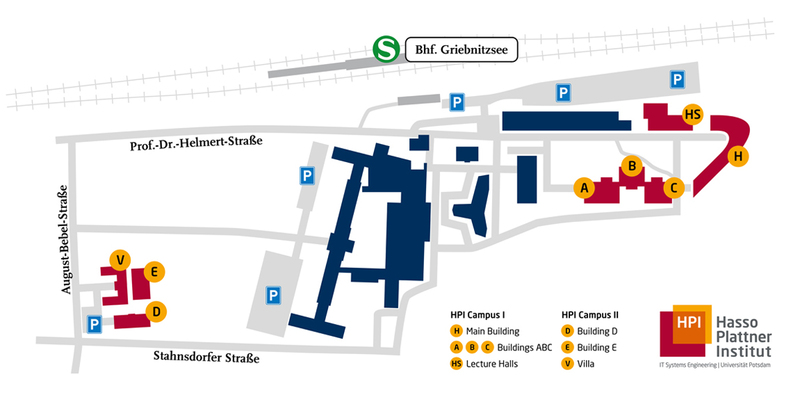 The HPI Future SOC Lab Day is conducted in the main building ("Hauptgebäude") of the Hasso-Plattner-Institut on Thursday, November 3, 2016. On the day the projects of the previous Future SOC Lab period get a chance to present the results of their research activities. Additionally, selected requestors of new projects can expand their ideas. The HPI Future SOC Lab Day is conducted in the main building ("Hauptgebäude") of the Hasso Plattner Institute, Prof.-Dr.-Helmert-Str. 2-3, 14482 Potsdam. You can submit your proposal for period Fall 2016 until October 06, 2016 to futuresoc-lab-info(at)hpi.de.